A Supreme Court bench of Chief Justice Dipak Misra, Justice DY Chandrachud and Justice AM Khanwilkar on Monday directed Additional Solicitor General Tushar Mehta to file an affidavit on the compliance of the directions issued by the apex court in the 2013 judgment on G Sunderrajan v. UOI, pertaining to the setting up of a nuclear power plant in the South-Eastern tip of India, at Kudankulam in the State of Tamil Nadu, as well as for the construction of the Away From Reactor (AFR) facility for storage of the nuclear waste. The bench was hearing an application for extension of time for the compliance with the directions, the deadline for which is May 2018. “It is not some toxic material which harms the environment...they are only fuel rods which amount to a few tonnes of material once their life is over...”, submitted Mehta. “Once they are out of service for the generation of power, they remain radioactive for hundreds of years...this is what happened in Fukushima (2011 nuclear disaster in Fukushima, Japan)...radiations were released in the environment from the Spent Fuel...people in more than 20 miles radius were displaced...sea water was contaminated...instances of cancer grew manifold,“ responded Bhushan. “Where are you storing the Spent Fuel right now,” posed Chief Justice Misra at the ASG. “At present, it is being stored in the campus itself...this is not waste which is to be dumped...it has to be reprocessed,” replied Mehta. 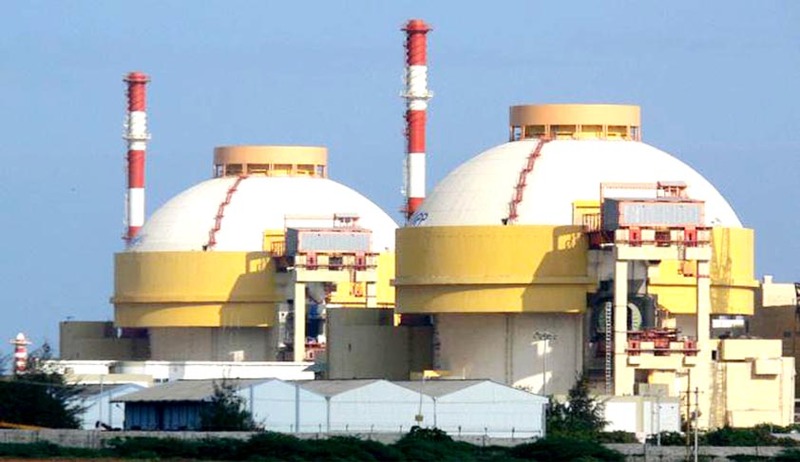 “The site evaluation report in respect of the AFR facility has been submitted by the Nuclear Power Corporation of India (NPCIL)...reports on other concerns as the temperature of water and radiation shielding have also been submitted...,” he added. “Has the approval of the Atomic Energy Regulatory Board (AERB) been obtained,” inquired Justice Chandrachud. Mehta responded in the negative. “The judgment was delivered in 2013...what has been so far? Show us the progress,” directed the Chief Justice, scheduling the matter to be listed in July. The Chief Justice, however, clarified that no contempt proceedings may be initiated in view of the May, 2018 deadline. The nuclear power plant should not be made operational unless AERB, NPCIL, the Department of Atomic Energy (DAE) accord final clearance for commissioning of the plant. The Spent Nuclear Fuel (SNF) generated needs to be managed in a safe manner to ensure protection of human health and environment from the undue effect of ionizing radiation now and future, for which sufficient surveillance and monitoring programme have to be evolved and implemented. The Deep Geological Repository (DGR) has to be set up at the earliest so that SNF could be transported from the nuclear plant to DGR. NPCIL had said that the same would be done within a period of five years. The SNF is not being re-processed at the site, which has to be transported to a Re-Processing facility. Therefore, the management and transportation of SNF be carried out strictly by the Code of Practices laid down by the AERB. Further, in 2014, the AERB had asserted before the Supreme Court that the SNF can be stored for a minimum period of 7 years within the power plant in Spent Fuel Pool (SFP) located in the Reactor Building, and for storage beyond 7 years, AFR facility is being planned by the NPCIL. The NPCIL had submitted the roadmap for design, construction and completion of AFR facility, specifying that the AFR facility would be operational by May 2018 after obtaining clearance from the AERB. It was also pointed out that DGR is to be set up based on national policy and regulatory review would be carried out as and when design for the same is evolved. In the meantime, as per the current regulatory practices, AERB had undertaken to ensure safe storage of the SNF in the spent fuel pool or the AFR at the site and ensure that the transportation is in accordance with the AERB requirements.